For Venezuelans, a few material necessities have become hard to find in recent months. While some basic foods such as flour and sugar have been increasingly hard to come by on supermarket shelves, one item has trumped the rest in terms of demand: Toilet paper. Luckily, a young software developer has set about providing a solution for those with smartphones. Supply me, or Abasteceme as it's called in Spanish, is an app that uses Google Maps and information supplied by users to track down toilet paper and others goods. It was developed by Jose Augusto Montiel, a 21-year-old chemical engineering student, and is available to download for free. Taking only a month to create, the app has been enormously popular among Venezuelans in need of these goods. Since its release on May 31, the app has been downloaded over 10,000 times, according to The Associated Press. App users identify stores that have a supply of a certain good, and the establishment is then marked on Google Maps. This method of information gathering is often referred to as crowdsourcing. 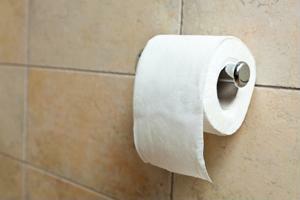 While the app allows people to track such goods as cooking oil and eggs, it has been used largely for toilet paper. "From what I've seen so far, it's mostly toilet paper, followed by flour," the developer told the source. Montiel is sure to delete stores from the list when they have been reported to run out of toilet paper. He plans on creating versions of the app that work for Blackberry phones as well as the iPhone. He developed the app mostly by himself, but had some help from his sister to design it. First launched in Montiel's native Caracas, the app has since been used all over the country, most of which is lacking in many basic items. The shortages have sparked debates among business owners and politicians who blame the government for the lack of goods. In response to the demand, the Venezuelan government has announced a plan to import 50 million rolls of toilet paper to help meet demand, according to CNN. Alejandro Fleming, the Venezuelan Minister of Commerce, said that residents of the country began panicking when the story was reported in the media and they began hoarding these goods, exacerbating the situation. Residents deny this, saying that the shortages are more serious than that.